Beautifully updated open floor plan waterfront with stunning panoramic views of the lake and 5 bedrooms! Huge vaulted great room has exposed beam ceiling with fans, updated lighting, hand scraped wood laminate floors, & built in projection screen. 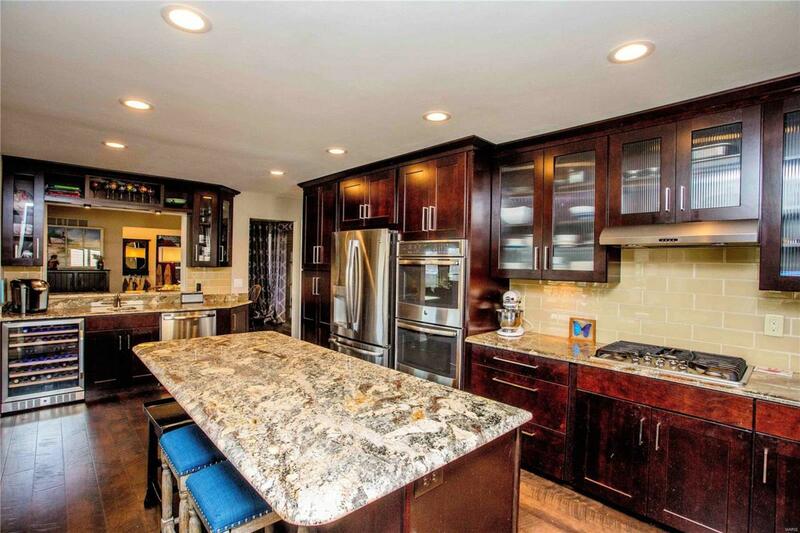 The kitchen has been totally remodeled with custom cabinets, center isle with breakfast bar, newer appliances, granite, wet bar with 2nd dishwasher, sink and wine fridge. The master retreat gives you access to the deck overlooking the lake, walk in closet and updated full bath. The LL provides a family room, three bedrooms, a Jack and Jill style bath and a rec room. The real fun starts outside! 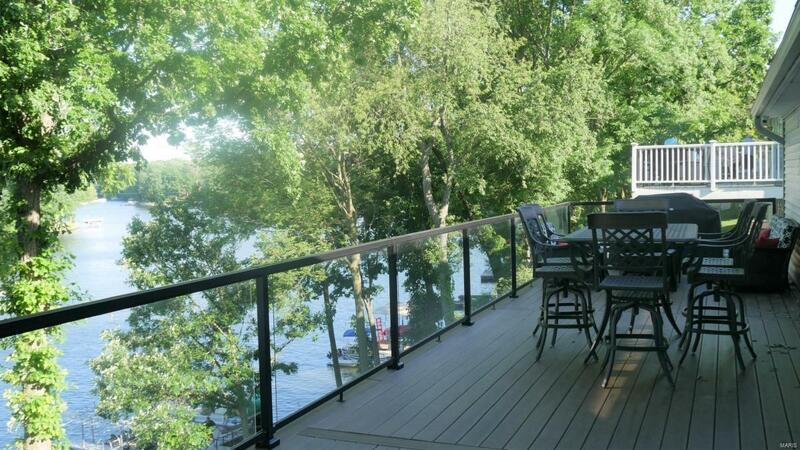 Enjoy the lake from your deck with unobstructed views or the sun room which can be used year round! 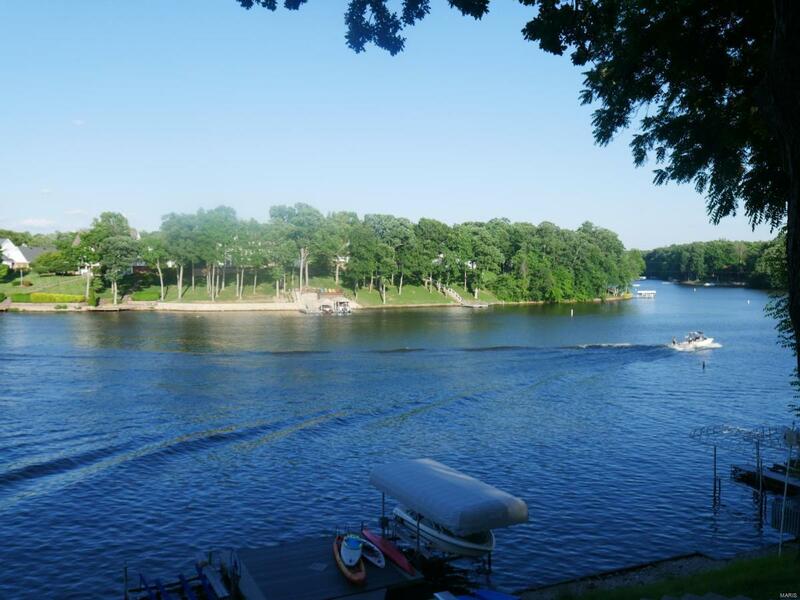 Just a short walk down to the lake where your private dock and lift await your boat! Did I mention the fire pit and custom outdoor kitchen with gas grill, beverage fridge and sink overlooking the lake? Its like being on vacation every day! 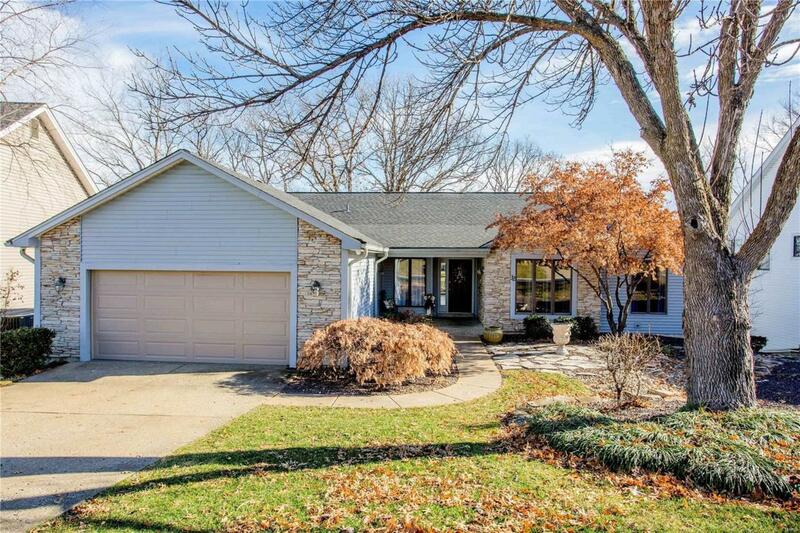 Listing provided courtesy of Coldwell Banker Gundaker Ls/We. Listing information © 2019 Mid America Regional Information Systems, Inc.